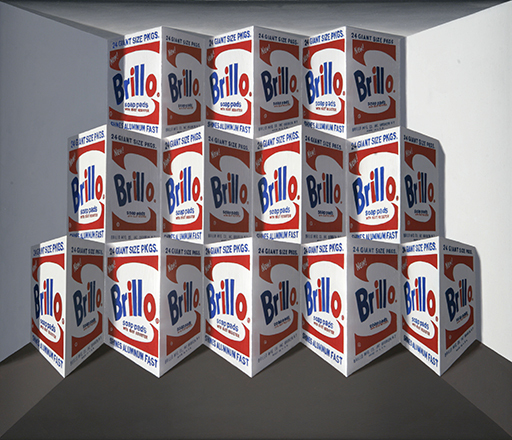 Patrick Hughes, "Brillo", 2008, Hand painted multiple with litography, 42.5 x 34.5 x 17 cm. Edition 22/35. Patrick Hughes, "Poppier", 2014, Hand painted multiple with archival inkjet, 45 x 101 x 17.5 cm. Edition 31/50. 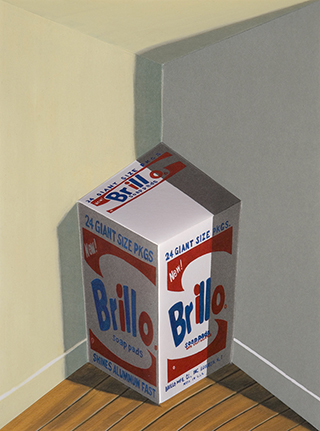 Patrick Hughes, "Booking", 2014, Hand-painted multiple with archival inkjet, 45 x 53 x 16 cm. 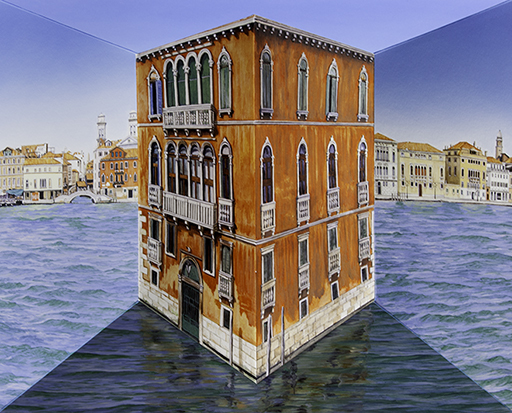 Patrick Hughes, "The Emergence of the Hole", 2008, Oil on board construction, 48 x 129 x 19 cm. Unique. 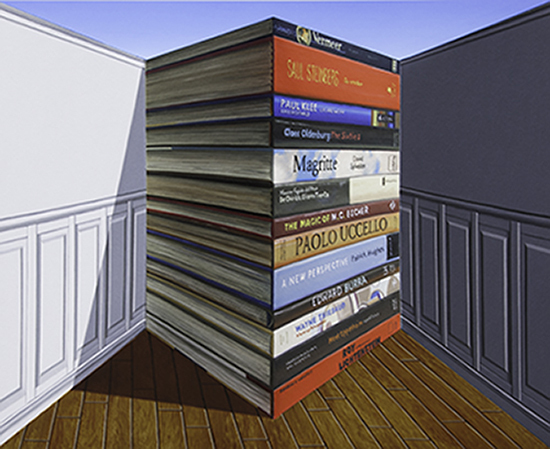 Patrick Hughes, "Forced into Reverse Perspective", 2008. Oil on board construction, 63 x 74 x 20 cm. Patrick Hughes, "Marvellous Magritte", 2014. Oil on board construction, 29 x 77 x 11 cm. Unique. Patrick Hughes, "Floating", 2014. Hand painted multiple with archival inkjet, 45 x 53 x 16 cm. Edition 49/50. 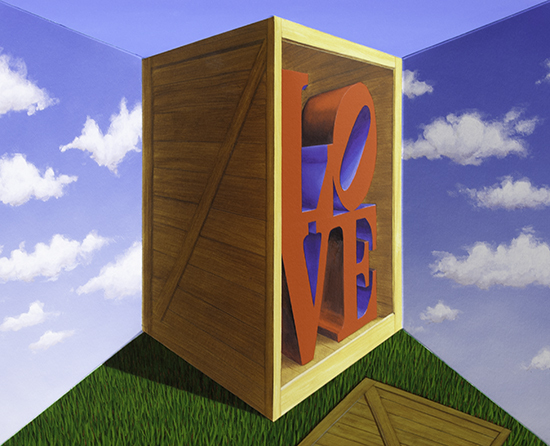 Patrick Hughes, "Loving", 2014, Hand painted multiple with archival inkjet, 45 x 53 x 16 cm. Edition 3/50.